If you want to talk fancy coffee brewing methods and equipment, we could be here for a while. There are dozens upon dozens of fancy coffee machines that brew, percolate, or create the perfect cup of coffee or shot of espresso. The recent rise of the cult coffee roaster has also produced a “new wave” of coffee connoisseurs of whom are very specific about the flavors of their beans, brews and the consistency of their foam. Even a new form, “coffee art” has emerged from this coffee-centric society — with baristas creating patterns in the foamy cap of lattes or cappuccinos, using pouring techniques (or sometimes even toothpicks) to com-bine the foamy milk with the dark brown liquid of the espresso. While all this has been going on, another kind of coffee has also experienced something of a Renaissance – pre-brewed coffee. A certain Seattle-based coffee giant launched their own in-house pre-brewed product with an enthusiastic response. 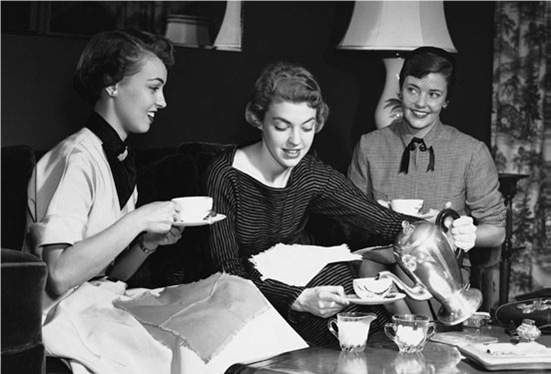 It seems the convenience and portability of pre-brewed, powdered coffee products is a hit in today’s modern, multi-tasking, always-on-the-go society. And why not? The fact is that pre-brewed products – in particular premium, luxury-level products such as Rae’s family of coffees – are made with the same high quality beans freshly ground in hipster coffee shops to make those over-priced lattes and espresso drinks. We source only the finest, hand-selected beans for our pre-brewed coffee products, such as the Jamaican Blue Mountain grown beans used in our Premium Gourmet Royal Brewed. We use only the latest technology to dry, process and make our premium pre-brewed coffee, capturing the freshly-roasted flavor of these quality coffee beans from the world’s finest coffee regions. The flavor of our beverages is enhanced with only the finest ingredients, such as the luxuriously rich chocolate flavor of our Gourmet Café Mocha. Our Gourmet Café Latte product is SO much like a fancy coffee shop latte, complete with freshly-foamed milk, we challenge you to challenge your coffee elitist pals to take a blind taste test and spot the difference. We believe our products, with the addition of the amazing Ganoderma powder, are not merely as good as store-bought, freshly brewed coffee — they’re better. AND beneficial. 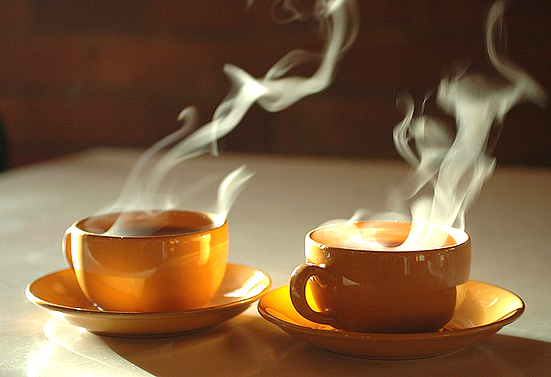 It’s not uncommon for people all over the world to start their day with a gourmet coffee. A morning cup is the perfect way to get your day going and it can help you get through the first few hours of the morning. However, as we all know by now, coffee can be enjoyed in many ways – not just in a cup. For today’s recipe, we’re going to show you a new way to use coffee to put a fresh spin on a traditional and classic breakfast meal. 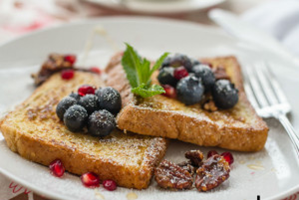 Crack a few eggs, break out the cinnamon, and pour out the Cafe Mocha – it’s time to make some French Toast! – In a shallow bowl empty the Mocha sachet add milk, egg, cinnamon and sugar. – Stir the mixture together until it has dissolved. – On medium, heat frying pan on stove. Melt a little bit of butter and dip the bread into the bowl with the mixture. – Make sure both sides are wet. With fork, allow the bread to drip over bowl. – Place slice of bread in pan. Continue process with the other slices. Turn slices over when bread is slightly brown. Remove cooked slices to a plate and keep warm. – Garnish with bananas and serve warm with maple syrup. Who loves the creamy foam that sits on top of a cappuccino from the corner coffee shop? The answer, of course, is everybody. For today’s Barista Bulletin, we’re going to teach you how to make this aesthetically pleasing and deliciously tasting foam from the comfort of your own home! We promise you won’t need to purchase a fancy espresso machine or a frother. Rather, all you’ll need is a glass of milk, a clean jar, a microwave, and about 120 seconds of free time. Making milk foam in the microwave is a two step process: First you shake the milk in a jar to create foam, then you microwave it for a few seconds to stabilize the foam. Without the microwaving step, the milk foam will quickly collapse back into the milk. This is an instance where low-fat milks are our friends because the whey proteins they come with are critical stabilizers for milk foam. Milks that are fortified with added protein — usually reduced-fat and skim milks —are most easily foamed. foam while you pour a little into your coffee, then spoon the foam on top, barista-style. Pour the milk into the jar: Fill your jar with as much milk as you normally use in your coffee, but no more than halfway full so there’s room to make some foam. Shake the jar with the lid on: Screw on the lid. Shake the jar as hard as you can until the milk has frothed and has roughly doubled in volume. This will take 30-60 seconds. Microwave for 30 seconds: Take the lid off the jar. Microwave uncovered for 30 seconds. The foam will rise to the top of the milk and the heat from the microwave will help stabilize it. Use the foam: Pour the warm milk into your coffee and spoon the milk foam on top. Recipe Notes: Use the foam right away! It will start to dissolve after a few minutes. Tea is a truly international beverage, with many cultures including it in their daily routine: Britain has its fine bone china teacups; India has ornate, hand-carved teapots; Morocco serves its mint tea in beautifully-painted glass tea cups; China and Japan practice ancient tea ceremonies; and even modern tea adoptees such as America’s Southerners can proudly be seen sipping their tall glasses of iced tea (sometimes laced with sweet, freshly-picked peaches!) on steamy summer afternoons. Many cultures across the world have tea ceremonies, from the ancient rituals in China and Japan to the classic British “high tea” where pretty little teacups are served alongside dainty tea sandwiches and scones. 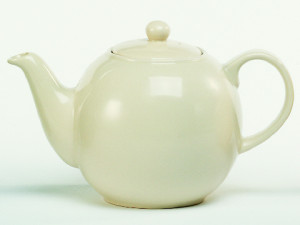 Tea became popular in the UK after Britain colonized India in the late 1700s. The tea plant thrives in the ideal tea-growing climate of India, notably in regions such as the Darjeeling mountains. Nearby, Ceylon (now known as Sri Lanka) is also renowned for its high quality tea production. Tea also gained favor in British colonies such as Australia and New Zealand due to the influence of their English settlers. Organic Red Tea is like a blank canvas. You can make it strong, you can add honey or lemon or your favorite milk for extra flavor, or you can drink it warm (and comforting) or iced (and refreshing) depending on your mood and the weather. Organic Green Tea is a great way to indulge in the “ritual” of tea. Try mixing up a batch in a Japanese stoneware teapot, or serving it in ceramic teacups, for a more traditional “tea service”. Chocolate meets caramel meets vanilla in this delectable and delicious new recipe! A classic product comes together with our newest product to create a drink that’s best suited for those who have a sweet tooth and aren’t afraid to show it. Share this product on social media with #OGBarista and lets spread this recipe to everyone all over the world! Please note this recipe has been created for 2 servings…. Enjoy! 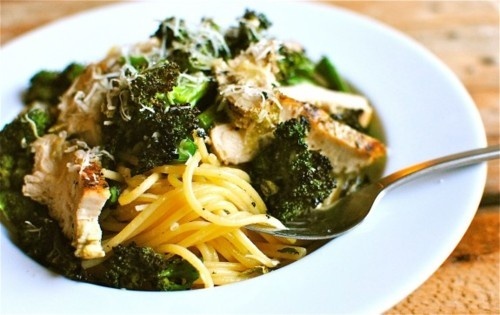 Pasta with chicken and broccoli may not be the first thing that springs to mind when you think of OG recipes — but we came upon this ingenious recipe that uses green tea as the boiling liquid for the pasta. In addition to being heart healthy, this recipe is loaded with antioxidants, because boiling the pasta in green tea gives you similar benefits to drinking it, and gives the pasta a really nice flavor, almost like spinach pasta. Pan fry chicken in olive oil, garlic and crushed red pepper. Remove chicken, and saute peppers and onions. Boil water, add tea bags, turn off heat and let steepfor about 5 minutes. Remove tea bags, return water to boil and add pasta. Add broccoli for the last 2-5 minutes of the pasta boiling. In a separate bowl, mix together the tomato, garlic, balsamic vinegar, cheese, oil and basil. 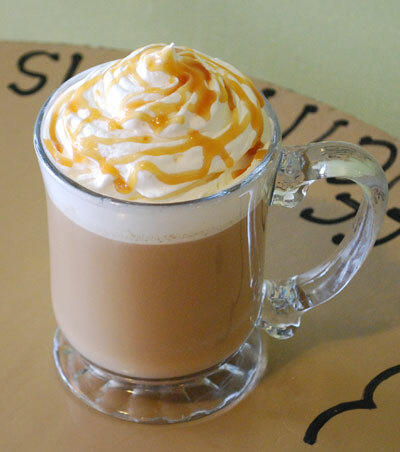 In case you haven’t heard, Rae’s Cafe just launched the newest and most delectable BrewKup flavor to date – Caramel Vanilla! Since its arrival, Caramel Vanilla BrewKups have been flying off the shelves faster than you can say “Vanilla Green Tea Latte”. To commemorate the release of Caramel Vanilla, we are going to show you how to get the best of both worlds – Pre-brewed and BrewKups – to make a truly original OGlicious recipe. It’s easy… it’s simple… it’s… tea? Much like our line of coffee products, OG’s two tea products – Green and Red – are a big part of our growing product line. Just like it’s coffee counterpart, both the Green and Red teas are simple to brew and can be enjoyed anyway you like it. Today we’ll teach you how to properly brew and steep both the Green and Red teas to help you put a fresh taste on two classic OG products. Steeping means brewing your tea. Re-steeping means re-brewing the leaves over and over again for additional cups of tea. Both our Green and Red Teas will provide you with great tasting second and third cups after re-steeping. The best way to enjoy quality cups of tea after re-steeping is to re-steep the leaves in one sitting and do not keep the tea overnight. Lastly, if you want to spice up your tea a little bit more, feel free to add in some OG Nutraceuticals. Now that you’re an expert on making OG Tea, it’s time to put these newly acquired skills to the test! 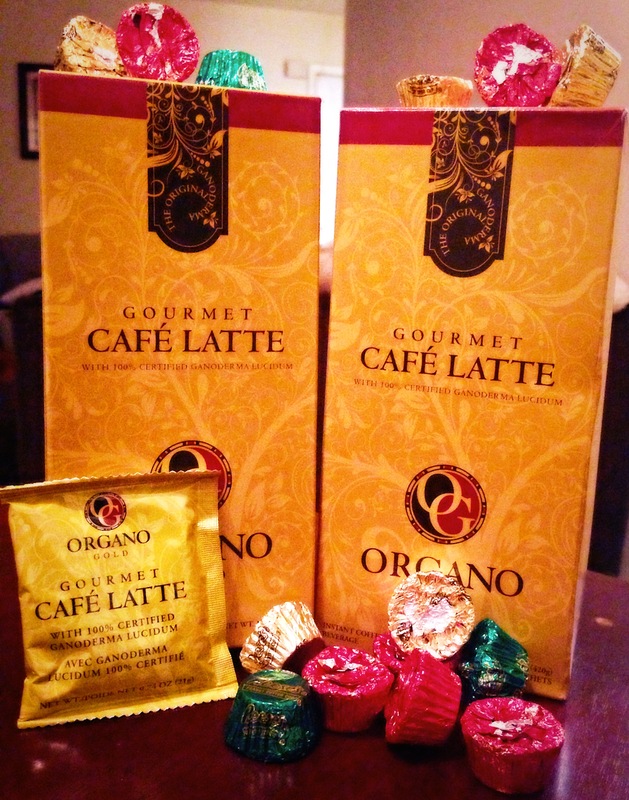 Pick up a box of Green or Red Tea and enjoy these taste-tea options from Organo Gold. I know you have some leftover Reese’s cups in your pantry, so why not put them to good use! 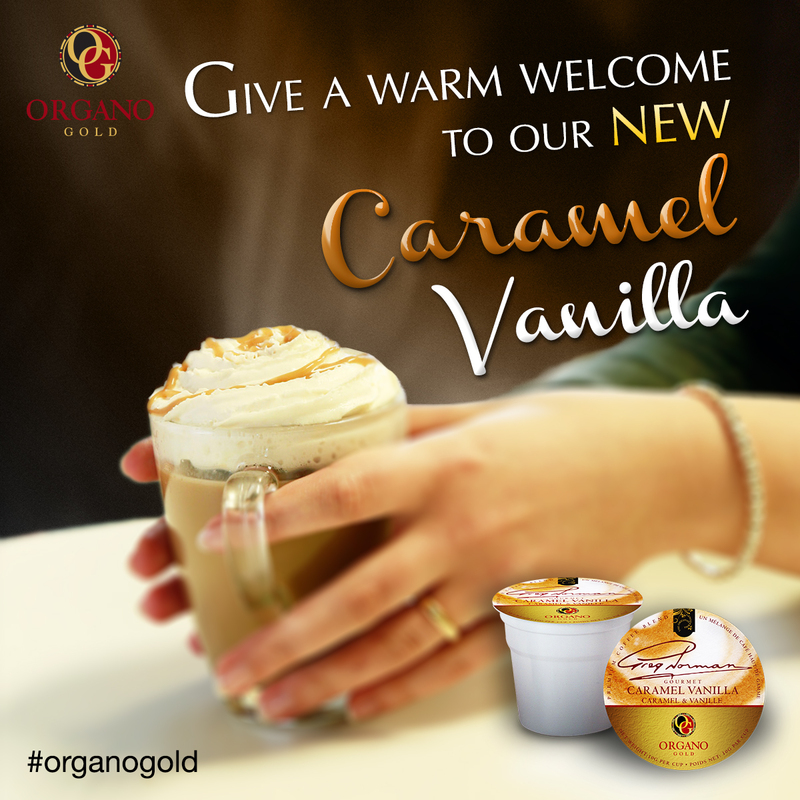 Enjoy it with OG Cafe Latte for a somewhat healthier alternative for all OG’s products are infused with organic Ganoderma (Reishi mushroom). The Reishi mushroom is used to treat many different ailments ranging from stress-related conditions to fatigue and sleep disorders. Ganoderma extract is great for people who suffer from any form of stress anxieties, as the mushroom itself is fantastic as an overall health tonic. The mushroom is well known for its ability to strengthen the body’s immune system and it is said that it can help ward off infections and viruses that may well run riot in a weakened immune system. What’s better than coffee and peanut butter cups? While waiting for water to boil, pour sachet into mug and place Reese’s cup on top. Pour boiling water over Reese’s cup and Cafe Latte. (the hotter the water the better so the Reese’s cup can melt) Stir and enjoy; be careful and don’t burn your mouth!